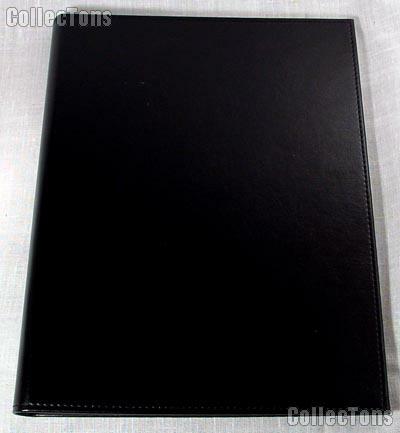 We are pleased to offer for sale this Document Binder 20 Page Portfolio for Mint Sheets, Stock Certificates, A4 Documents by Lighthouse. 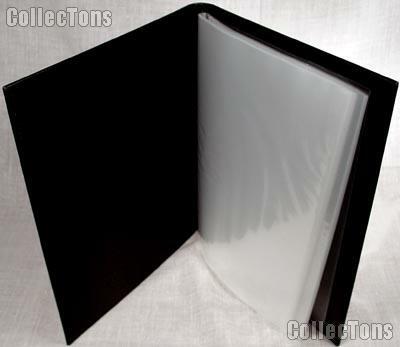 This seamed edge, simulated black leather portfolio has 20 bound sheets designed to hold your documents or mint sheets up to 8 1/2" x 11 3/4". The sturdy transparent archival quality pockets are perfect for protecting and displaying your items. The exterior of the portfolio measure 12 3/4'" x 10" x 1". The binder is a stylish way to organize and protect your important documents!